Taking up repossession in Dubai is a great investment as many people purchase their vacation house or dream house in Dubai. The housing market has thousands of units available and there are more to come, Dubai is constantly building new real estate communities and the prices as of January 2011 are going lower and lower. According to the recent news on the internet, prices keep dropping and it would be a great dive in the housing market in Dubai these days as the prices are lower than ever before. According to news on the internet in the fourth quarter of last year the apartment prices in Dubai has dropped 2 percent with villa prices this is taken from the property firm Asteco. For many home owners who would like to sell their property, they are in total panic, but Dubai is now working the way housing market should function as of there are many housings newly built in Dubai and there are more demand for residential properties in Dubai. Dubai has now set the prices relatively realistic. As of this year buyers are pushing to get a lower prices form the sellers and the sellers are sticking to their prices because they might lose more than what they gave for their properties although it is still in a good stand and very demanding in the market. But as of this year there are lots of people who are looking for residential properties and they are willing to dig more after the lowest prices in market. As for the developments the last 3 years was building residential buildings and this is all about selling the units, therefore if you are interested in getting properties in Dubai this year will be a great investing year for new home. This also makes the rental proposition less popular this year, so the strategy of most home rentals are long term commitment so they will not lose any value of their homes for rent. 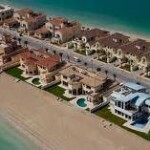 There are many reasons why Dubai has become an attractive area to buy second property. If we start with the economic reasons, the biggest reason is there is tax exemption on all rents and property values. This means that you can earn a share t rent your property out during the periods where you are not using it. Currently, the rental income is 8 -16 percent per year. Another fact is that there are wide price increases for homes or properties in Dubai, which means you can buy a house and allow it to increase by its value. The Housing demands in Dubai are also a connection to this. Another thing is that Dubai makes an attractive investment experiences, culture and friendliness you will encounter. There are plenty of life experiences as well. Here are few things, the first trip to Dubai desert in a hot air balloon. You will experience the desert that very few have seen, from a gentle floating hot air balloon. Feel the cold dawn while hovering a few meters above the red sand hills. Be amazed by the wonderful scenery unfolding underneath you. See the great sand hills, lunar landscapes of the wild Hajar Mountains to the east and the modern silhouette of Dubai to the west as you rise high into the endless blue. A little gastronomic experience in La Bateaux Dinner Cruise. This is a new prestige afternoon cruising on Dubai Creek, combine the best of unique attraction, fine dinning. Live music and entertainment that helps to create a memorable and magical night. The restaurant deck is 360 degrees of anti reflective glass in a controlling temperature, which will give you an uninterrupted view over Dubai creek. So whether your second home will give you profit or it should be in a country that never sleeps, Dubai will be the best investment for you.